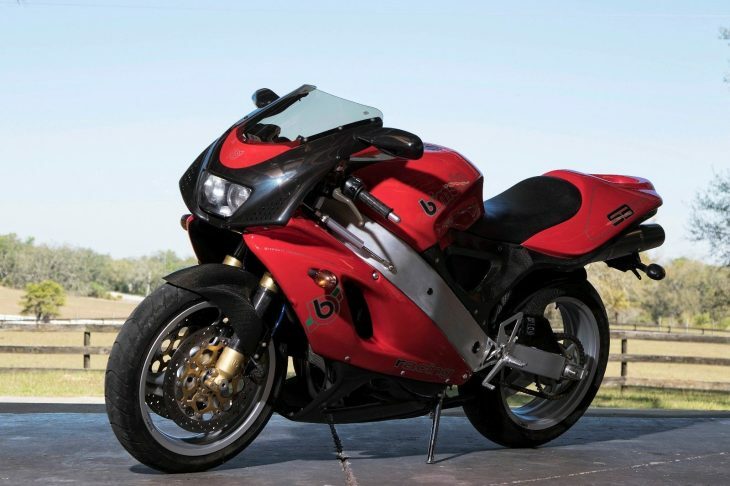 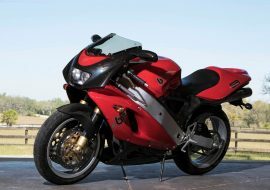 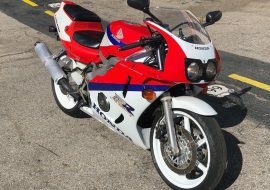 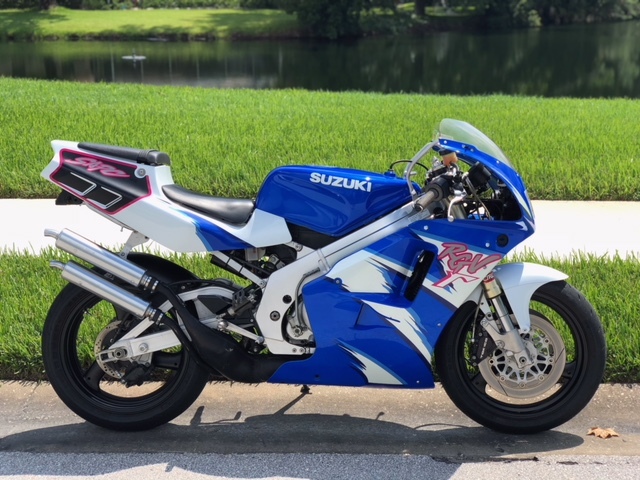 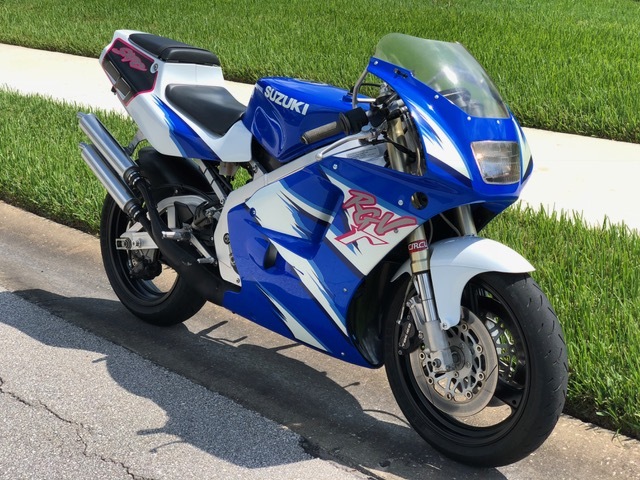 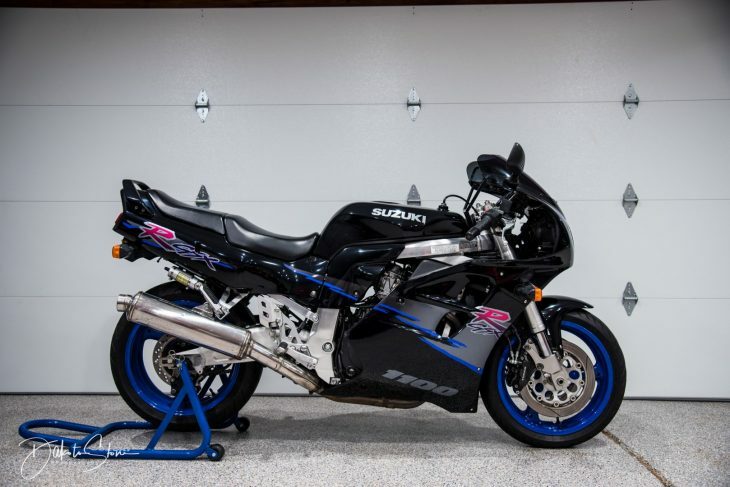 By the time the early 1990s rolled around, four-stroke performance motorcycles like Suzuki's GSX-R750 had gotten more powerful, more refined, and much heavier. 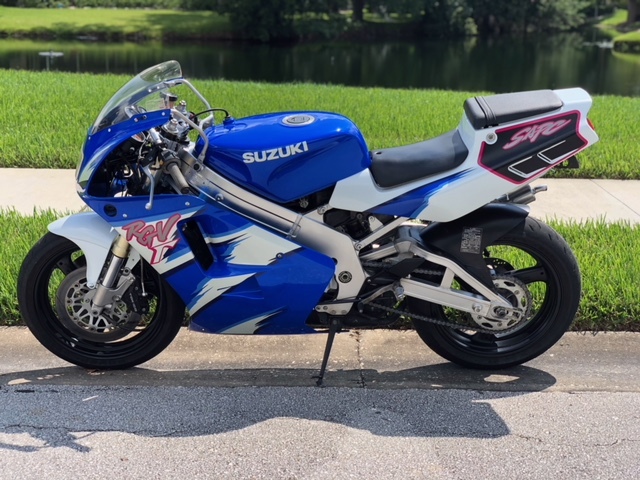 Seriously, the GSX-R1100 of 1993 weighed in at 560lbs wet! 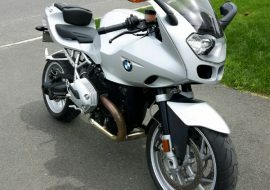 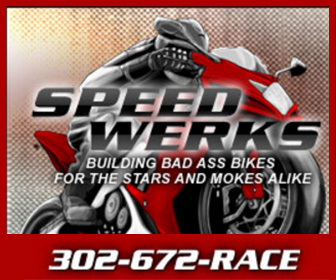 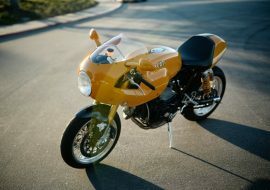 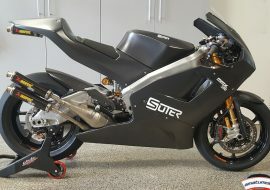 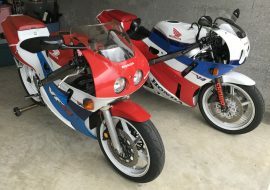 Luckily, two stroke sportbikes at least remained pretty svelte. 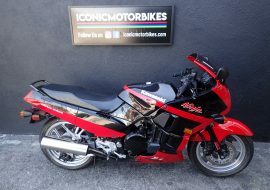 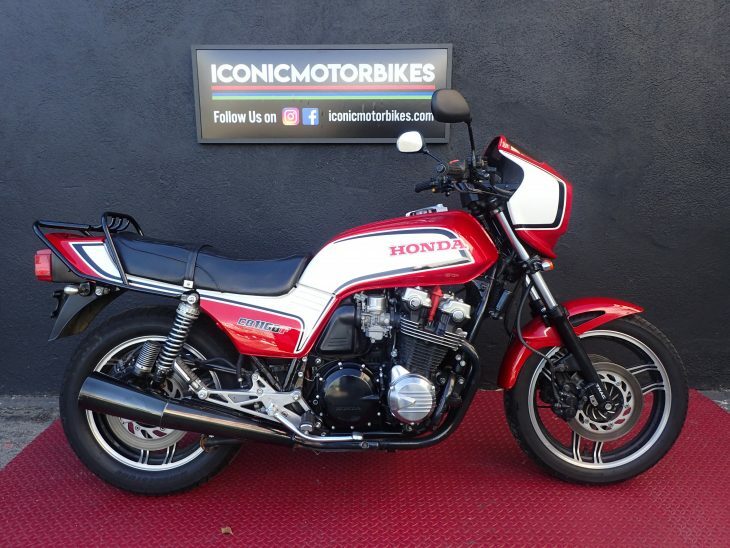 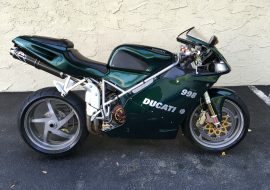 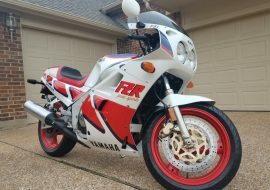 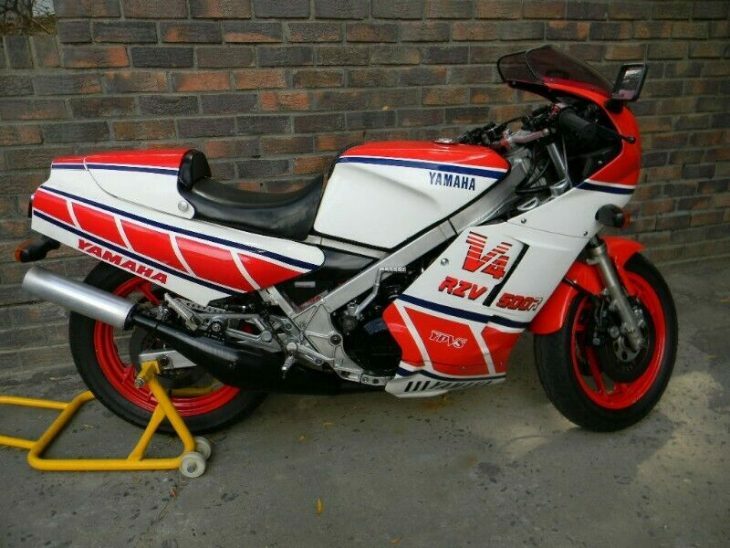 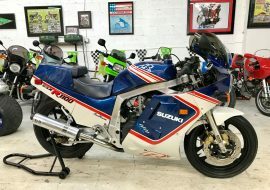 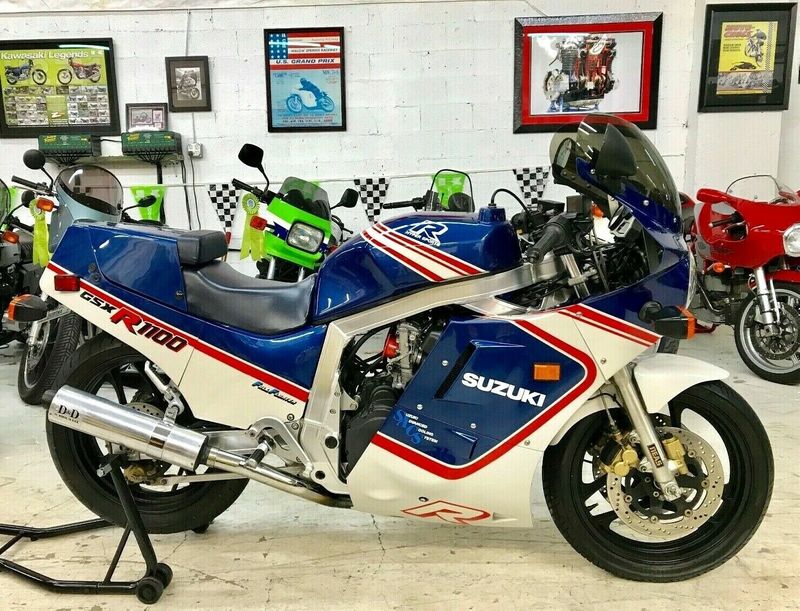 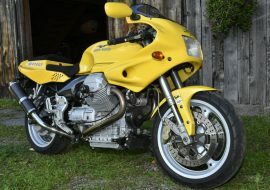 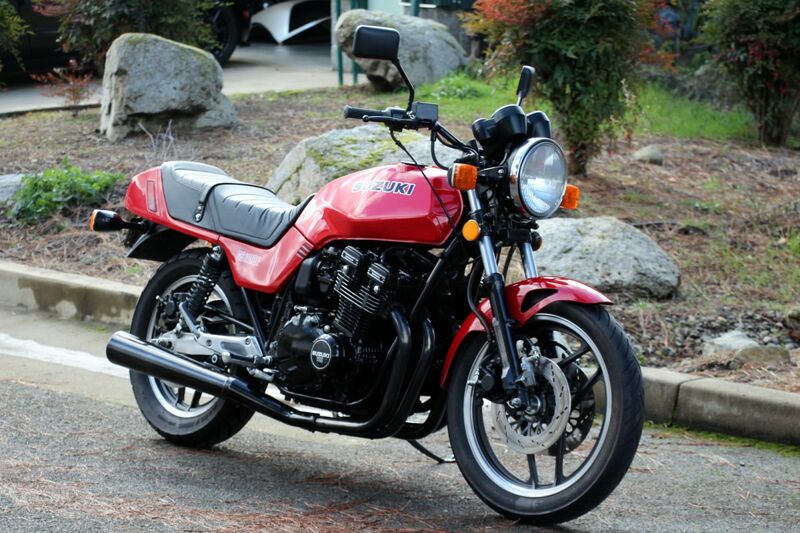 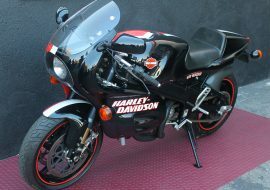 Although a little bit heavier than the original versions from the late 1980s, they still hovered right around 300lbs, which gave bikes like this Featured Listing 1994 Suzuki RGV250Γ excellent handling and decent acceleration, in spite of the limited power from the dirty little v-twin. 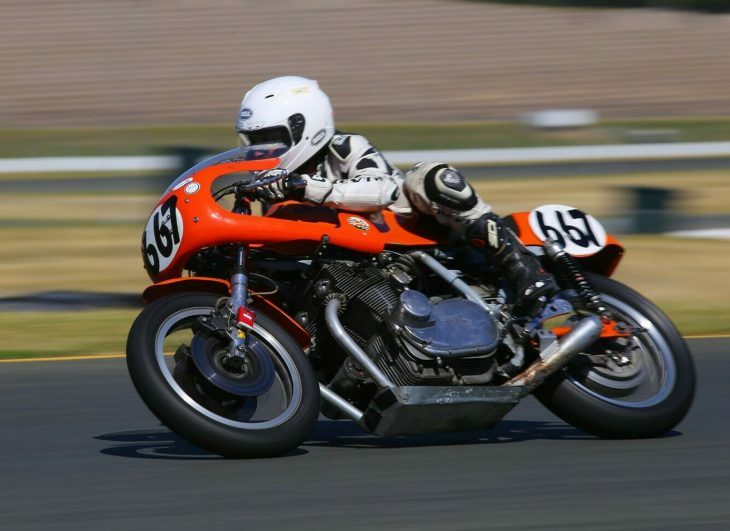 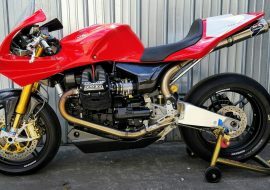 The RGV250Γ Gamma naturally used a twin-spar aluminum frame as was common in the class, along with a 249cc, liquid-cooled two-stroke 90° v-twin controlled by Suzuki's own electronic power-valve and ignition control system they dubbed "SAPC," an acronym for "Suzuki Advanced Power Control." 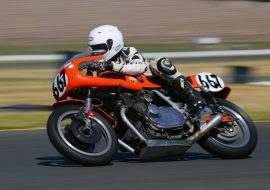 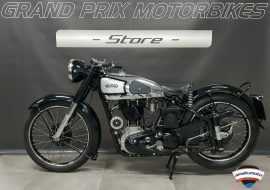 The result was around 55hp in de-restricted form, although the original Japanese market bikes were limited to just 45hp. 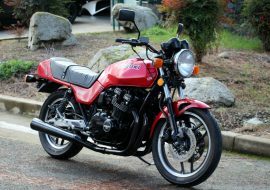 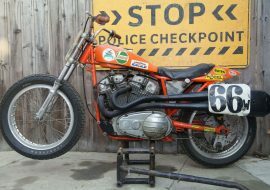 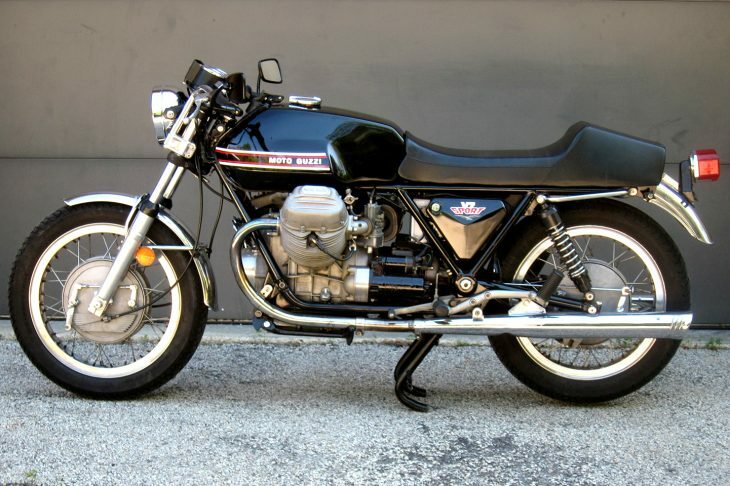 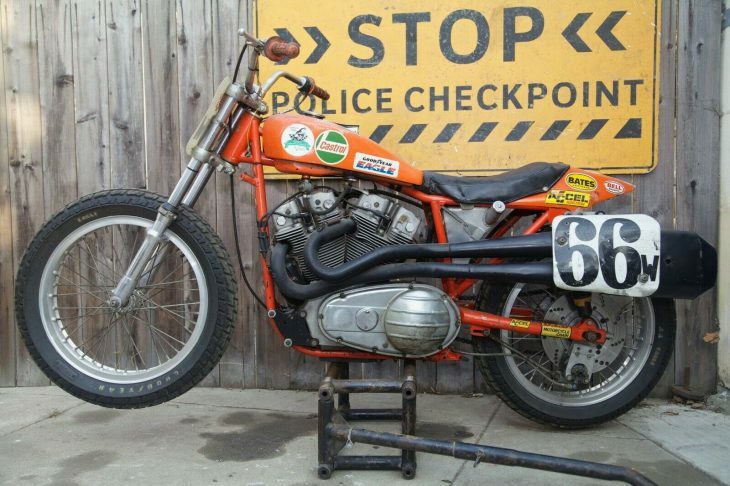 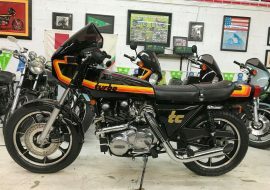 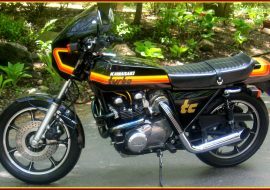 This VJ22 is the second generation of the bike that followed the original VJ21 and was eventually superseded by the VJ23 that had very different looks and used an entirely new 70° two-stroke v-twin. 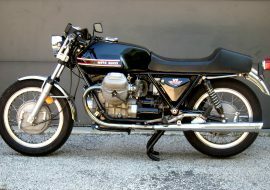 Style for the VJ22 was similar to the earlier VJ21, but featured a distinctive braced swingarm and 17" wheels front and rear, instead of the 18" rear found on the VJ21. 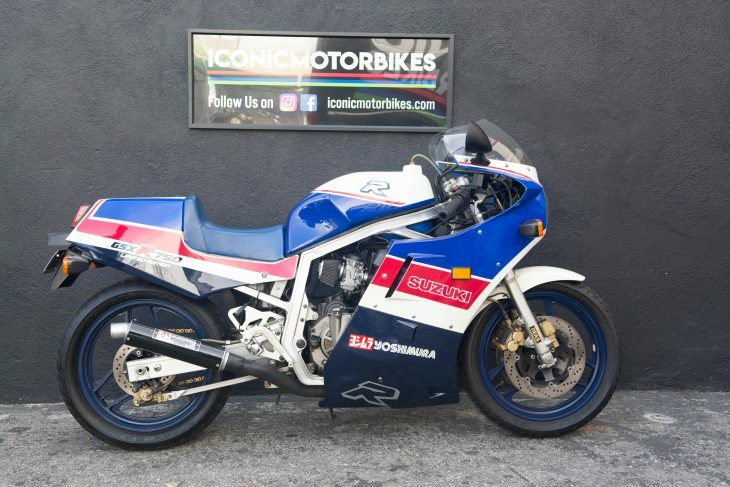 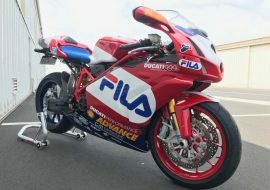 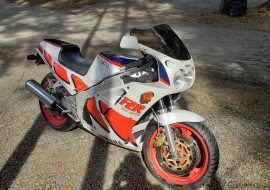 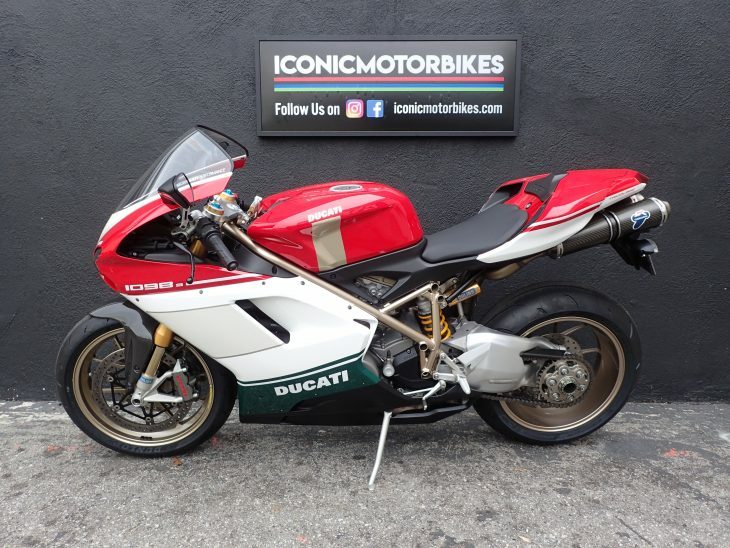 Today's bike offers up retina-searing graphics that might have been considered dated and unfashionable until recently, but waves of nostalgia for 90s sportbikes have made this style cool again. 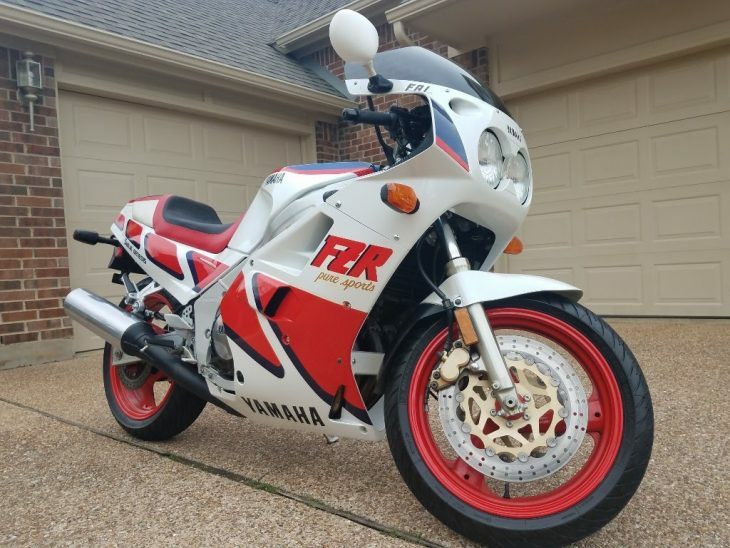 Or at least have made it okay to admit that you always thought these vibrant colors were cool. 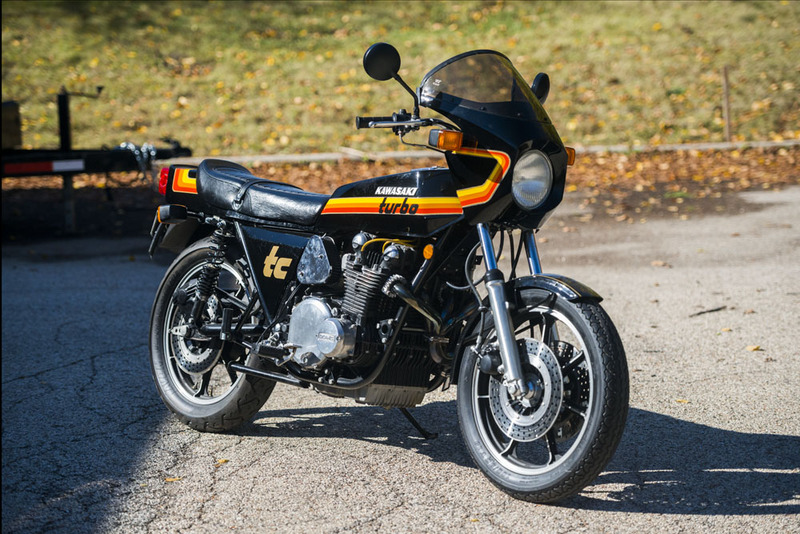 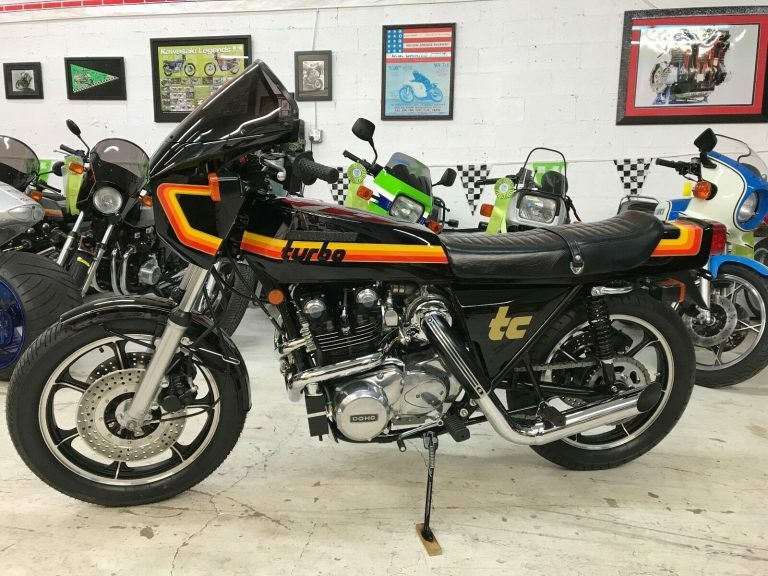 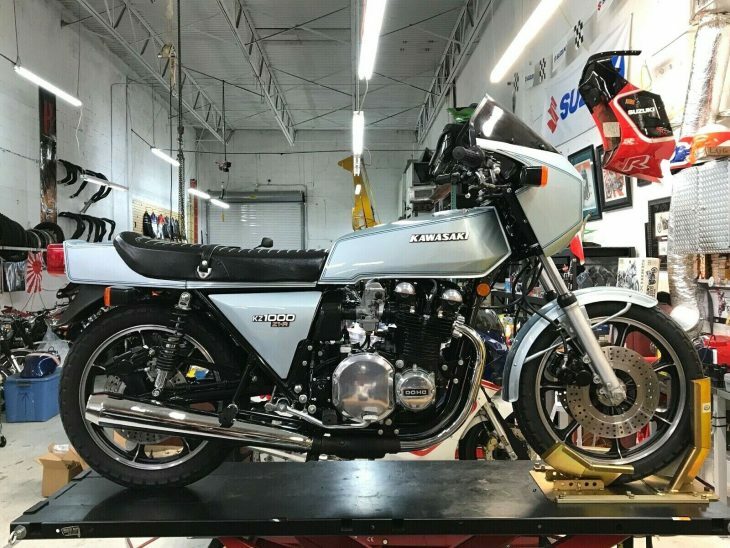 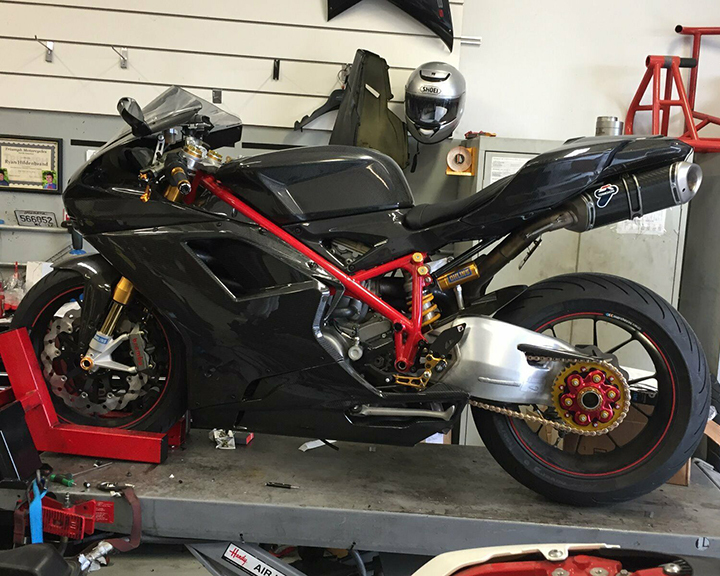 It can be tricky to judge condition from photos, but this bike appears to be in exceptional shape, especially considering the age of the bike. 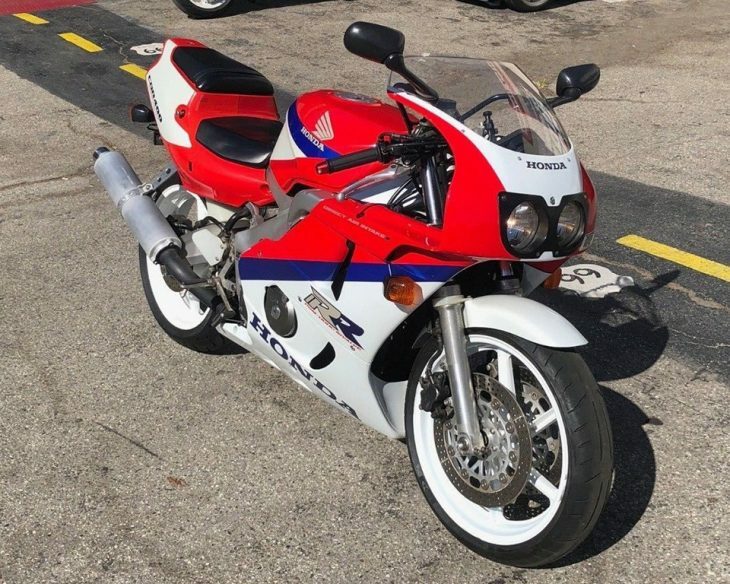 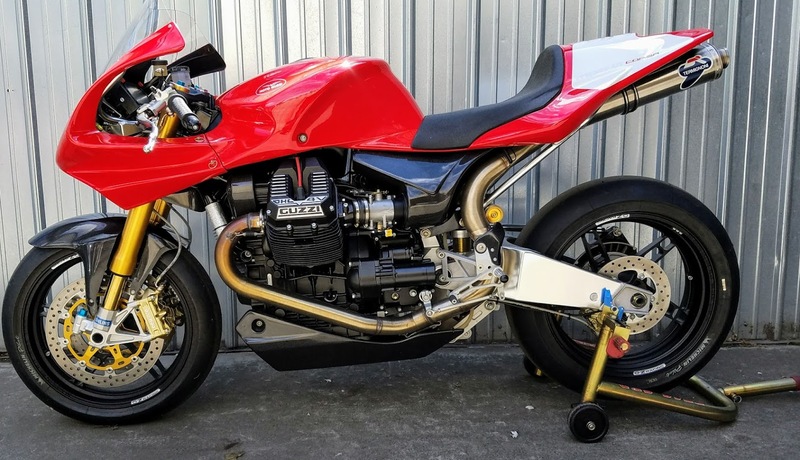 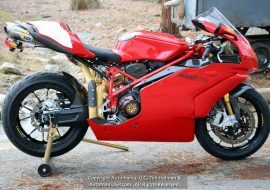 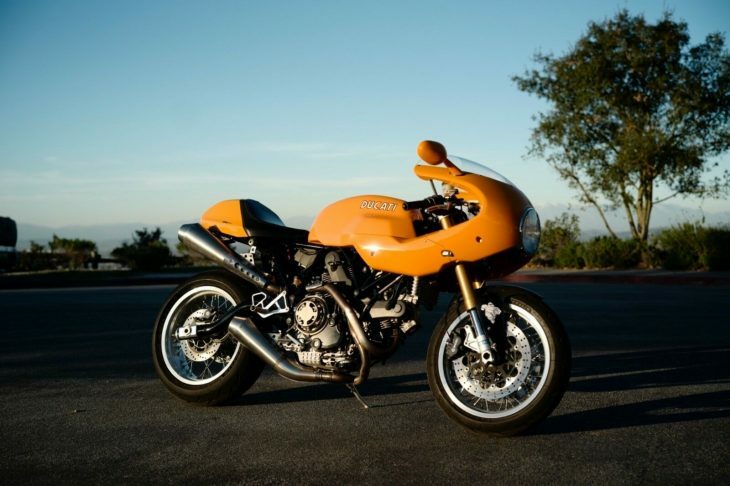 Aside from that, it's been thoughtfully modified, properly maintained, and appears to be ready to go terrorize the local canyons or your local bike night with ring-a-ding noises and heavy two-stroke smoke. 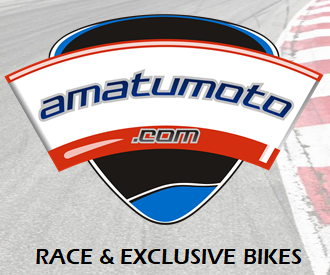 Located in Redondo Beach, California. 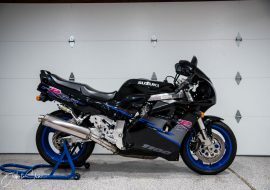 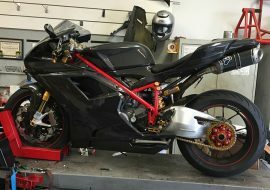 Well the 17-digit VIN should make it a bit easier to register in some states, which makes this one appealing to folks who want to ride their bikes and not just collect, display, or track them. 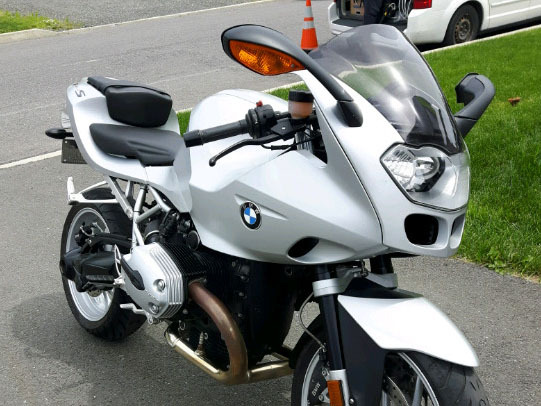 Yes, it already has an Idaho registration, but I'm not sure how strict the Idaho DMV is and some states might still give you trouble without the right number of digits in your VIN. 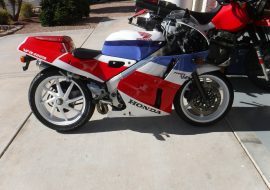 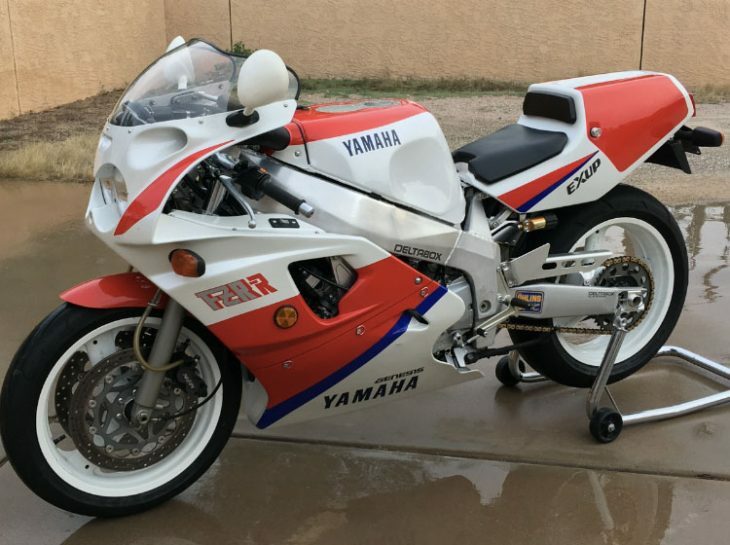 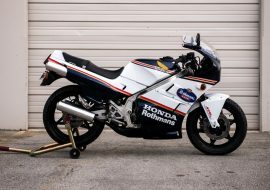 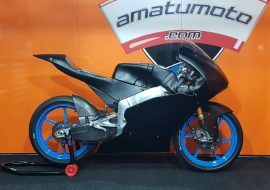 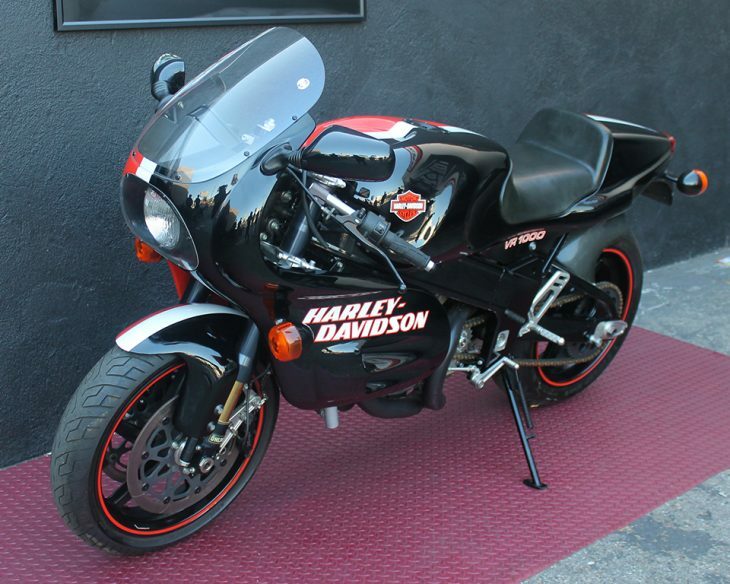 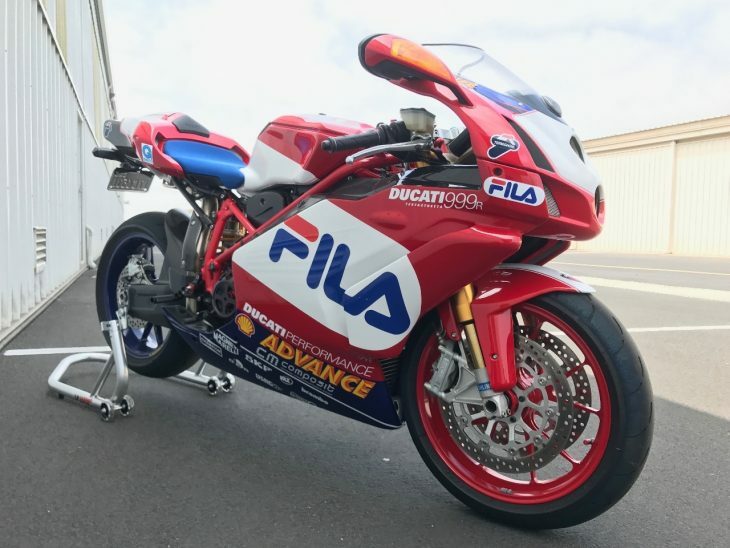 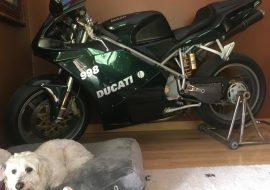 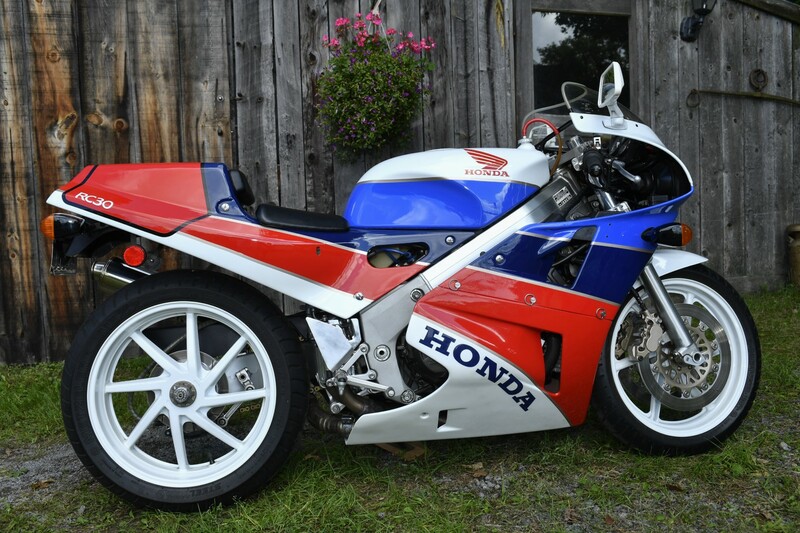 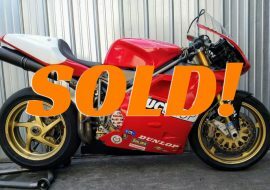 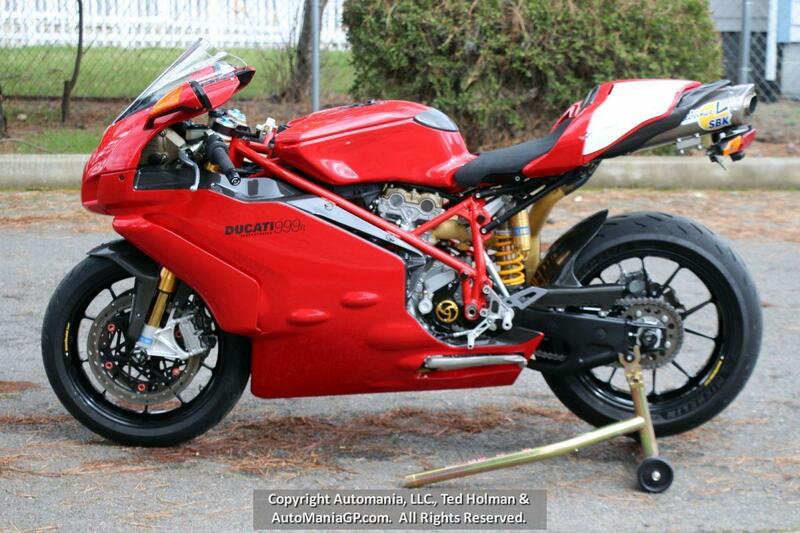 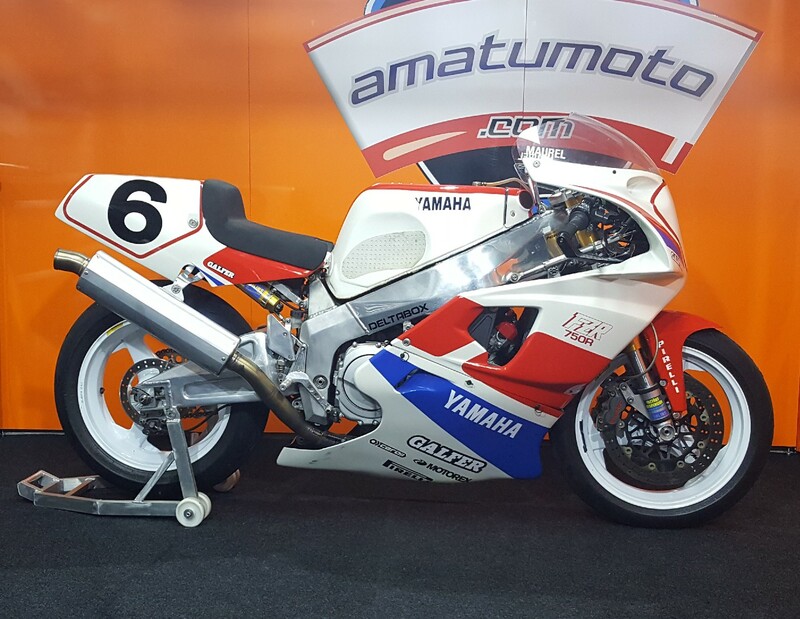 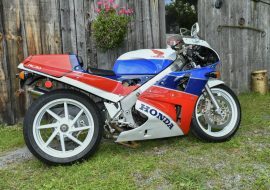 The asking price for this little two-stroke? 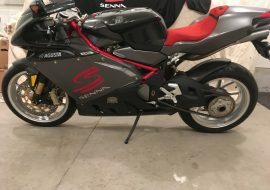 $11,000. 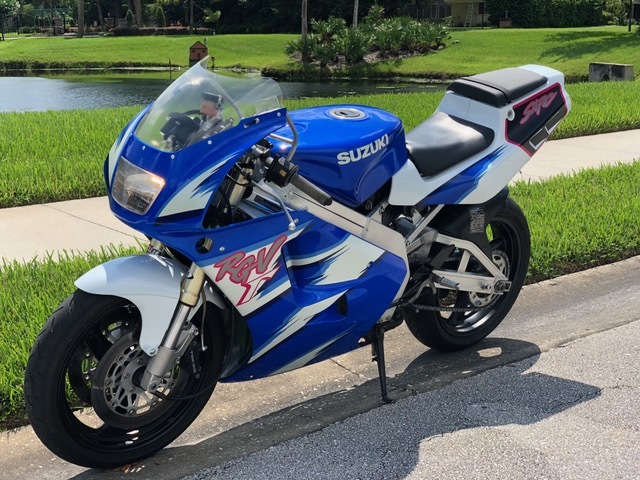 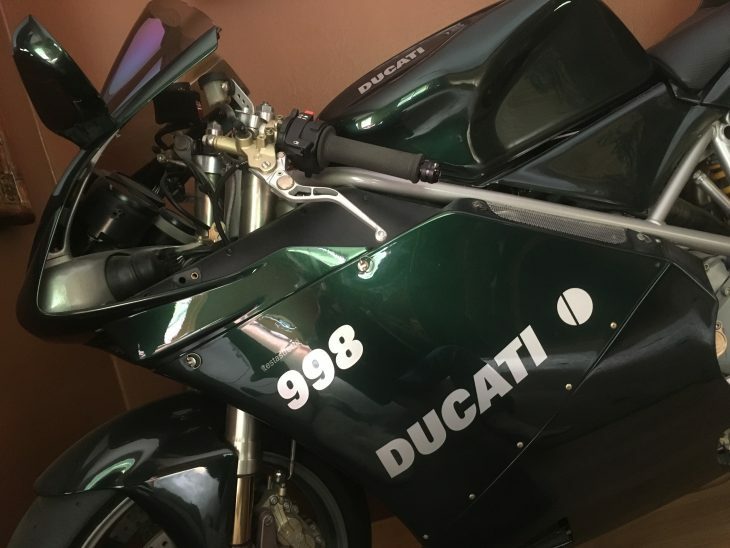 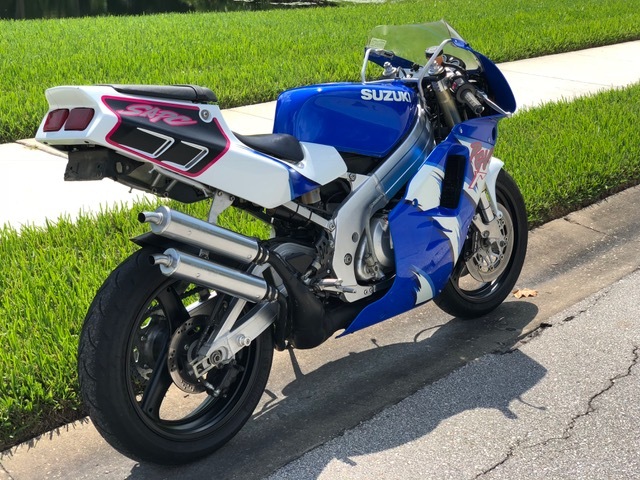 It's not one of the famous race-replica editions, but this example is ready-to-ride and looks very 90s with those neon graphics.